In this, the fourth in the series of blogposts on the European patent package reform, Don McCombie (Latham & Watkins) writes on the governing law for European patent disputes, taking in not only the increasingly complex provisions within the EU itself but the application of general principles of private international law. This thoroughly-researched post reflects the thoughts of its author alone, and should not be taken to represent the opinion of any other person or entity. Having now looked at jurisdiction and the questions of how and where to commence a claim, this post now considers the substantive law to be applied by the Unified Patent Court (UPC). This is another long post, and it contains a fair amount of discussion which readers may regard as unnecessarily academic. However, this is all focused on a single practical question: which laws will the UPC apply on day one? The answer is not as straightforward as you might think. Each of these sources of law is dealt with in turn below. 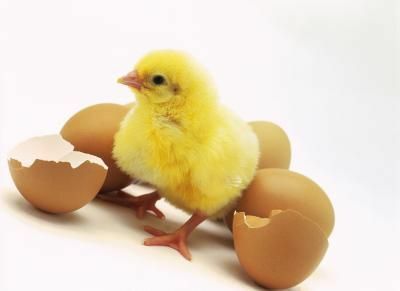 As noted previously, the EU has only legislated in two specific, niche areas of substantive patent law and related rights; certain aspects of biotechnological inventions and supplementary protection certificates. In addition, the directive on the enforcement of IP rights harmonises to a limited extent the “measures, procedures and remedies necessary to ensure the enforcement of intellectual property rights”, including injunctions and damages, but no patent-specific provisions are included. Further, and as noted previously, several provisions of the recast Brussels Regulation are relevant to (and may conflict with) proceedings in the UPC, but these relate only to jurisdiction and the enforcement of judgments, rather than substantive patent law. Regulation 1257/2012, the Unitary Patent Regulation, states that the scope of the rights conferred by a Unitary Patent “shall be uniform in all participating Member States” (Art 5(2)), such rights being “those defined by the law applied to [Unitary Patents] in the participating Member State whose national law is applicable to the [Unitary Patent] as an object of property in accordance with Article 7” (Art 5(3)). Article 7 states that a Unitary Patent will be treated as an object of property of the participating Member State in which that applicant had either his residence or principal place of business or, failing that, a place of business, at the filing date of the application. If the applicant had no place of business in a participating Member State at the filing date, German law will apply (Art 7(3)). For example, the scope of protection of a Unitary Patent filed by a French-incorporated company will be defined by French law, regardless of which local, regional or central division of the UPC hears an action relating to that Unitary Patent. A Unitary Patent filed by a Japanese-incorporated applicant having no place of business within any participating EU state would be governed by German law, again regardless of the UPC division which hears the case. Following the removal of Articles 6-8 from the previous draft of the Unitary Patent Regulation, which had provided for substantive EU patent infringement laws, there is very little EU law applicable to questions of the infringement or validity of patents, even in the case of Unitary Patents created under an EU Regulation. Many commentators have expressed doubts as to whether the CJEU will in any event take jurisdiction over questions of infringement, but these arguments will not be rehearsed again here. Articles 25-27 of the UPC Agreement contain substantive direct and indirect infringement provisions and a list of ‘limitations to the effects of a patent’, i.e. the exceptions to infringement. These provisions are almost identical to Articles 29-31 of the 1975 Community Patent Convention (CPC), subject to some additional exceptions to infringement which relate to certain niche Regulations and Directives. The degree of uniformity currently enjoyed between EU Member States has its limits, however, and despite a common basis for countries’ infringement laws, some significant differences have arisen between national approaches to infringement. Probably the most obvious of these is the approach to claim construction, which is not addressed by the UPC Agreement (see next section). The existence of significant differences between national approaches shows, at the very least, that the express terms of the CPC do not provide a clear answer in every situation, and that additional input from national laws has been required. In the event that a given infringement question cannot be answered only by reference to the express terms of the UPC Agreement, but where that question has been answered by, and forms part of, the relevant national law, it will be open to debate whether the UPC is bound by national law or if it will be free to decide the case using decisions of national courts as persuasive but non-binding authority. Lawyers trained in the common law (including judges) will approach this question differently to lawyers trained in civil law systems, and the different legal status accorded to court decisions in common law and civil law jurisdiction may also complicate this analysis, i.e. in England, the rationes decidendi of judgments form part of national law and are binding on judges, and Article 24(1)(e) states that the UPC shall base its decisions on national law, which will include such judgments. Finally, Article 65(2) of the UPC Agreement expressly incorporates the grounds of invalidity in Articles 138(1) and 139(2) of the European Patent Convention. The European Patent Convention (EPC) relates to the examination, grant and validity of patents. The EPC leaves the determination of the rights conferred by a European patent to national laws (Article 64 EPC), although the EPC does address the ‘extent of protection’ conferred by a European patent in Article 69, as further clarified in the Protocol on the interpretation of Article 69 EPC (see below). There is a very substantial body of case law on the provisions of the EPC. The foreword to the sixth edition of the Case Law of the Boards of Appeal (the EPO White Book) states that, as at June 2010, the Boards of Appeal have settled more than 28,000 cases since March 1979. Members of the EPO boards of appeal are bound only by the EPC and not, strictly, by earlier decisions of the boards of appeal, although case law that results from the decisions of the boards plays a major role in the development of the EPO’s practice. Similarly, only the EPC, and not EPO case law, is stated by Art 24(1) to be a source of law for the UPC. The national laws of EPO contracting states are shaped by the decisions of the EPO Boards of Appeal. The UK Patents Act 1977, for example, notes at s.130(7) that the relevant provisions of the UK law are intended to have the same effects as in other convention countries, and the UK Supreme Court has summarised the UK approach to the application of EPO case law in Human Genome Sciences v Eli Lilly (see paras 83-95). Whilst consistency is an oft-stated and laudable aim, there are some clear differences between the approached taken by the EPO boards of appeal and the national courts. For example, the boards of appeal (and consequently the divisions of the EPO) in almost every case apply the “problem and solution” approach to assessing inventive step, which has been adopted by national courts in some EPC contracting states, but not in others. For example, although the English courts have consistently emphasised the importance of ensuring consistency with the approach of the EPO boards of appeal, they have instead adopted the structured approach set out in Windsurfing/Pozzoli (at para 23). The English courts have noted on several occasions that the Windsurfing/Pozzoli approach is not compulsory, but the various divisions of the EPO and the boards of appeal are more firmly wedded to the problem-solution approach. Although it was stated in case T_465/92 that the problem-solution is approach is “no more than one possible route for the assessment of the inventiveness”, the EPO White Book calls this is a “one-off decision” (see p163). English judges have voiced differing opinions on the merits of the problem-solution approach (see judgment here at paras 25-50), which has never been adopted. Although the differences may in many cases be formal rather than substantive, in some instances the alternative approaches may ultimately lead to differing outcomes. Also, the common practice of the EPO boards of appeal, which is not adopted in every case, is to deal with each ground of invalidity separately. By contrast, ‘squeezes’ are often deployed in some national courts between, for example, obviousness and insufficiency arguments, which require the two separate grounds of invalidity to be considered together. There is no guidance under the UPC Agreement or the Rules of Procedure on this point. “(vii) It further follows that there is no general "doctrine of equivalents." A clear conflict therefore exists between the approaches adopted by different EPC contracting states, and it is not clear how the UPC will approach the issue of claim construction. International agreements and treaties such as TRIPS, the Patent Cooperation Treaty and the Paris Convention do not in general contain rules of substantive patent law having a greater degree of specificity than the EPC or the UPC Agreement, so they are of little help as sources of substantive patent law. Whilst I have noted the divergent approaches taken by national courts regarding issues of infringement and validity, both the EPC and the UPC Agreement do at least provide a legislative framework which can be applied by the court. Readers, particularly those with civil law training, may regard the concerns I have raised above regarding the need to rely on national law as unimportant, with divisions of the UPC ultimately being bound only by the EPC and UPC Agreement for most issues, treating case law of the EPC and CPC contracting states as persuasive but not binding. To lawyers trained in the common law tradition this would be a significant change, but we are an adaptable bunch. 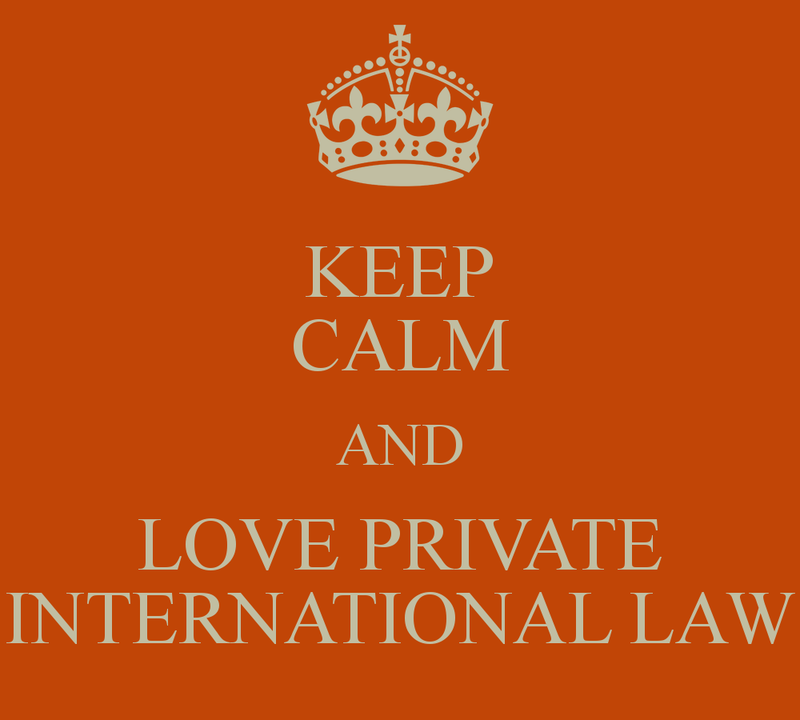 The term ‘private international law’ may be understood as the set of procedural rules used to determine the substantive law and jurisdiction applicable to a legal dispute. 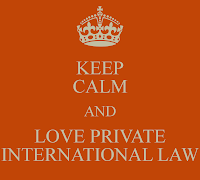 The difference sources of private international law rules mentioned in Art 24(2) are considered below. Provisions of Union law containing private international law include Regulation 864/2007 on the law applicable to non-contractual obligations (“Rome II”), the Unitary Patent Regulation itself, and the IP enforcement directive. Article 8 of Rome II governs the applicable law in respect of infringement of IP rights. Article 8(1) states that “[t]he law applicable to a non-contractual obligation arising from an infringement of an intellectual property right shall be the law of the country for which protection is claimed”. Where the UPC has to adjudicate the infringement of a European patent, which is a bundle of separate national rights claiming protection in several member states, this provision will lead to difficult results. If a European patent is designated in France, Germany and the UK, Article 8(1) of Rome II would require the UPC to apply French accessory liability laws to the infringing acts occurring in France, German accessory liability laws to the infringing acts occurring in Germany and English accessory liability laws to the acts committed in the UK. Rome II does not extend to preliminary or incidental questions concerning the creation, registration, validity or transfer of IP rights, which are proprietary rather than tortious in character. The choice of law relating to these issues, insofar as they are not covered by the EPC, will fall to national rules in the case of European patents. For unitary patents, Article 8(2) of Rome II states that, “[i]n the case of a non-contractual obligation arising from an infringement of a unitary Community intellectual property right, the law applicable shall, for any question that is not governed by the relevant Community instrument, be the law of the country in which the act of infringement was committed.” The Unitary Patent Regulation contains specific provisions to deals with these points at Articles 5 and 7, as noted above. The EPC is an ‘international instrument containing private international law rules’. The provisions which could be seen as relating to choice of law include Articles 2, 64 and 74. As with Rome II, the EPC does not assist with identifying any single law which should apply to a bundle of separate national rights which are being considered simultaneously by a single court. If there are any such instruments, I would be grateful if readers could name them, as time constraints have prevented me from researching this area. This appears to mean that the UPC must use national law provisions to determine which national law provisions apply to the question of which national law is to apply, which is circular and rather unhelpful where the UPC is not a national court. I had always understood that the UPC was intended to be a single supranational court having divisions physically but not ‘legally’ located within individual member states. However, this difficulty with Article 24(2)(c) led me to question whether the UPC was indeed intended to be a supranational court, as opposed to a conventional national court. By way of background, the earlier Draft Agreement on the European and Community Patents Court from March 2009 had contemplated a supranational court open to all EPC countries, including non-EU Member States. Opinion 1/09 of the CJEU declared this proposal to be incompatible with EU law. In response, the proposals were recast and a draft UPC Agreement was issued on 14 June 2011, which is similar, but not identical, to the final approved UPC Agreement. Article 1 of the June 2011 draft stated that the UPC “is a court common to the Contracting Member States” and which is “to be part of the judicial system of the European Union and is subject to the same obligations as a national court with regards to the respect of Union law”. The wording of the final UPC Agreement contained a subtle change, stating that the UPC “shall be a court common to the Contracting Member States and thus subject to the same obligations under Union law as any national court of the Contracting Member States”, possibly suggesting that a division of the UPC is a national court ‘like any other’. The waters are muddied further by Article 4, which states that “the Court shall have legal personality in each Contracting member State and shall enjoy the most extensive legal capacity accorded to legal persons under the national law of that State”. However, a clue to the source of the final wording is found in paragraph 82 of Opinion 1/09, which cited the Benelux Court of Justice as a “court common to a number of Member States, situated, consequently within the judicial system of the European Union” that had been held to be compatible with Union law. This wording has been adopted wholesale in the final UPC Agreement. Council Paper 13984/11 of 9 September 2011 provided ‘reflections’ on the Benelux Court of Justice (BCJ), and whether it could “serve as an example showing the way towards a Unified Patent Court”. The paper describes an arrangement under which national courts of the Benelux countries themselves apply Benelux law, referring questions on the interpretation of harmonised Benelux law to the BCJ as a procedural step in the course of proceedings before the national courts. The arrangement appears very similar to that of the CJEU in relation to EU law, although I would appreciate comments from Benelux lawyers if this is incorrect. Paper 13984/11 concludes by saying that “many of the common characteristics of the BCJ and of the UPC will contribute to address the legal requirements set out by the ECJ in Opinion 1/09”, before listing such ‘common factors’. It therefore appears that the BCJ has been used as something of a model for the UPC, and that the UPC should indeed be viewed as a supranational rather than a national court. However, I understand, based solely on Paper 13984/11, that the BCJ is not a fact finding tribunal, and does not issue decisions which are directly enforceable in the Benelux Treaty states. Rather, it decides points of law abstracted from the facts, with the application of the law to the facts and the enforcement of decisions being left to the national courts. A further key difference, and one which is highly relevant to the determination of the applicable law by the UPC, is that, according to Paper 13984/11, “the Treaty establishing the BCJ and the rules of procedure which are based on it constitute the court’s sole legal sources”. As noted above, the UPC will draw on Union law, the UPC Agreement, the EPC and national law as legal sources, without there being a single judicial body with authority to issue definitive judgments on all of these sources. By contrast with the BCJ, the UPC will have to apply national law and have some clear mechanism of determining which national law is to apply. The example of the BCJ is therefore of little help for determining how a division of a supranational court, which just happens to be physically located within the territory of a given member state, is to determine the applicable national law. So which national law is to apply? Without any division of the UPC being a national court, there is no default set of national ‘choice of rules’ to apply. A localising element or ‘connecting factor’ will need to be determined (see para 1-079 of Dicey, Morris & Collins). Factors such as the lex situs of bundle rights encounter the same problem noted above in relation to Article 8(1) of Rome II. Ultimately the divisions of the UPC may have to apply the lex fori of their host countries in the same way that an arbitral tribunal may in some instances apply the law of the seat of arbitration when determining the law applicable to an arbitration clause (see para 2.1.2 of Chapter 4 of Cook & Garcia. In such case, the UK local division would apply English ‘choice of law’ rules, the Paris Central Division French rules, and a regional division the rules of its host country. Such divergence within a unified system is not ideal. Case law of the UPC is not one of the ‘sources of law’ listed in Article 24, and neither the UPC Agreement nor the Rules of Procedure appear to make any reference to any doctrine of precedent. This is consistent with the view that the UPC will regard judgments of the UPC and those of national courts and decisions of the EPO boards of appeal as persuasive rather than binding. There could be some debate as to whether, in the absence of specific rules on precedent, this issue will fall to national law, but as this post already extends to over 4,000 words, I’ll leave that debate to another day. There are also no specified rules of statutory interpretation. Neither the UPC Agreement nor the EPC are instruments of EU law, so there appears to be no reason for the UPC to apply established EU rules of statutory interpretation. It would, again, be unsatisfactory in a unified system for statutory interpretation to be governed by individual national law rules. Union law, the UPC Agreement and the EPC provide a framework to decide the majority of the legal issues that will need to be decided by the UPC. Matters falling outside EU law, the EPC or the UPC Agreement are to be covered by national law (other international agreements are of little help in substantive patent law matters). When dealing with European ‘bundle’ patents, the above suggests that the UPC will have to apply several sets of national laws to issues of infringement under Rome II, with ‘proprietary’ matters being dealt with according to national choice of law rules. Only a single set of national laws will apply to unitary patents, determined by reference to the applicant’s domicile or place of business at the time of making the application. In summary, it’s complicated. Whether this ends up being a lawyers’ dream or a lawyers’ nightmare remains to be seen. The advent of the European Unitary Patent and Unitary Patent Court raises acute questions as to how the court is to receive, use and particularly evaluate expert evidence. It will involve something of an amalgam of UK and continental procedure. Of significance in very high tech cases in recent years has been the use by the court of scientific advisors. Two experts who have done this job will talk about their experience - again a matter of great interest generally and perhaps of particular application in the new court. This conference is accredited by the SRA and the Bar Standards Board with 6.5 CPD hours. It also constitutes relevant CPD for IPReg. It's sometimes easy to forget Switzerland, since that lovely mountainous land -- though surrounded on all sides by the European Union -- is not part of it. When it comes to patent law, Switzerland has a significance that greatly exceeds its size. However, significance and influence are two quite different things and, because most of Europe is not particularly familiar with Swiss case law involving patent enforcement, that country's capacity to influence thought is diminished. This is a sad loss at a time when, within the European Union, even jurisdictions as insular as common-law-based England and Wales are increasingly looking beyond their own case law in patent matters. To make matters worse, the Swiss have been experimenting with a new system for patent litigation, and no experiment is worth conducting unless its results can be collated, analysed and evaluated. "The new Swiss Federal Patent Court, with nationwide first-instance jurisdiction over all civil patent matters, has been operating since January 1, 2012. This article reviews and contextualizes the most important patent cases published in 2012 by the Swiss Federal Patent Court and the Swiss Federal Supreme Court. 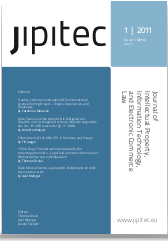 More specifically, the article covers cases on issues such as the evidentiary status of party expert opinions, the formal requirements for requests for injunctive relief, the infringement and non-obviousness tests employed by the Swiss Federal Patent Court, the use of reports and statements from technical judges in lieu of expert opinions, and the procedural devices for the pre-trial taking of evidence, in particular the new patent-specific device of precise description. The author suggests that designing the Federal Patent Court to include technically trained judges may lead to a more automatic adoption of the practices and case law of the European Patent Office. The article concludes that the revamped Swiss patent litigation system has the potential of turning Switzerland into a competitive venue for the adjudication of patent matters in Europe". If you want to know more, the good news is that you can download the full article via SSRN by clicking here. The Court of Justice of the European Union today has dismissed the actions brought by Spain and Italy against the Council’s decision authorising enhanced cooperation in the area of the single European patent. The enhanced cooperation procedure led to the creation of the EU's new unified patent system -- which will not come into operation until after the implementation of a parallel scheme for the unitary patent court. The German Bundesgerichtshof has added a new mosaic tile to the new case-law on late filing in the 2nd instance patent nullity proceedings (see earlier post here for some background). The contested patent related to heating mats for use in underfloor heatings and the German Patent Court had identified a mechanical engineer with university degree (Diplomingenieur) and experience in the development of heating mats as the relevant person skilled in the art. In the appeal, the patentee argued that the person skilled in the art should be a craftsman experienced in laying the mats rather than the engineer. No reasons justifying the late submission were given. The Bundesgerichtshof rejected this argument as being late under the new procedural rules (and, besides of being late, as incorrect). This hints towards a strict application of the new rules and this blogger finds this decision surprising because the assessment of the inventive step including identification of the relevant skilled person is traditionally considered a question of law and not a question of fact in Germany. Questions of law should not be considered late-filed. The full text of the decision can be found here (in German). 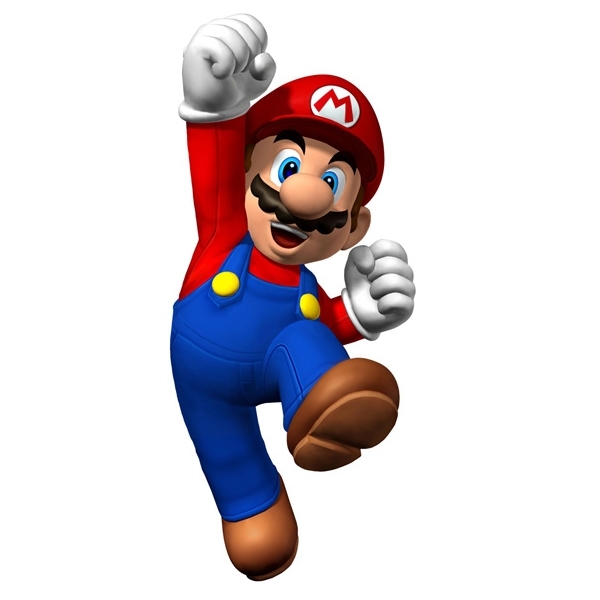 "The long-awaited European Unitary Patent and Unified Patent Court will soon become a reality. Companies, research institutions, and individuals will be able to obtain not only a patent title with immediate effect in 25 EU Member States, but also a court decision on (for example) infringement or validity of a European or Unitary patent with effect in the participating Member States. Everybody involved in European patenting will find enormously welcome guidance in this extraordinary book. Written by two outstanding intellectual property experts – one being a lawyer who had a hand in the development of the unitary patent and the other being a reputed Belgian intellectual property judge – it describes in detail all the provisions regarding the new patent and the new court, explaining their rationales and the processes that led to them. Although the Rules of Procedure of the Unified Patent Court still need to be finalized and adopted by the Court, the authors already unravel the proposed Draft Rules of Procedure. The book uses flowcharts [these being contained in a 40-page supplement] as well as plain words to represent each procedural stage of the Draft Rules of Procedure. In this way, a practitioner can focus on each distinct stage as required, while also gaining a comprehensive overview of the proceedings. The complex language issues arising throughout the proceedings are analysed in detail in a supplementary part. For its deeply informed insights into the expected practical functioning of this revolutionary new patent and litigation system, this work is a peerless contribution that will ensure the most effective practice as this new regime begins. For legal scholars, the book offers the opportunity to analyse, criticize, elaborate, and where necessary improve the current Draft Rules of Procedure of the Unified Patent Court before they are finalized, and advise the governments of the participating Member States on how to implement the new court system in their country". The book opens with an historical introduction and a little bit about how Belgium broke the deadlock -- something for which the tiny Kingdom will either be blessed or execrated in years to come -- and then goes on to provide an extensive analysis of the new scheme. The bit that covers the draft Rules owes much to the contribution to Willem Hoyng, as the authors acknowledge. I have no doubt that a second edition is already under preparation, subject to anything that the Court of Justice of the European Union might have to say about the legal basis for the EU's new patent regime, that is. Bibliographic data: hardback with paperback supplement. ISBN 9041147578; ISBN 13: 9789041147578 xxi and 298 pages. US$ $169. Web pages here and here. This year's Fordham IP Conference devoted a session to indirect and contributory patent infringement, moderated by Bristows' Myles Jelf. First to speak was Wendy Miller (Cooper & Dunham), who explained the historical and legislative background to the current provisions of US law as stated in 35 USC s.271. Wendy discussed the Akamai ruling (noted on PatLit here), BMC Resources (ditto) and McKesson. asking whether -- in holding the 'mastermind' responsible for infringing acts committed by others -- the courts have actually changed the law or merely stated what it was. Next to speak was Trevor Cook (Bird & Bird), who said that Europe lives in a post-Akamai world in which one does not need to identify a single specific infringer. The relevant law on inducing patent infringements by others can be found in section 60(2) of the Patents Act 1977. This provision, based on Article 26 of the Community Patent Convention, has its counterpart in the legislation of countries elsewhere in Europe too but is clawed back somewhat by section 60(3) where the secondary infringement is no more than the supply of staple products that enable infringement to take place. Trevor discussed the knowledge and intention of such a supplier in the Grimme and KCI Licensing rulings, liability for skinny labelling and contributory infringement via supplying replacement parts in the recent UK Supreme Court decision of Schutz v Werit. There then followed an enjoyable and stimulating discussion, mainly embracing a wide range of technical issues under US patent law. In the third in this series of blogposts on the European patent package reform package, Don McCombie (Latham & Watkins) examines some of the detail of the provisions with which Europe's patent litigators and their clients will be expected to engage when launching a patent infringement action under the new system. As with the previous posts, the opinions expressed here belong to Don and should not be imputed to any other person or entity. As noted in my previous post, a claimant may have jurisdiction to bring a claim before one of a number of different divisions of the Unified Patent Court (UPC). Claims for revocation and declarations of non-infringement must be commenced in the Central Division. Depending on the subject matter of the patents in suit (see Annex II to the UPC Agreement), a standalone action for revocation or a declaration of non-infringement will therefore take place in Paris, Munich or London. For infringement actions, a claimant may have a greater degree of choice. Before considering the factors influencing the choice of forum, I will first look at the early stages of bringing and defending a claim by reference to the 14th draft of the Rules of the Procedure. The Rules of Procedure will be the subject of further amendment, but the general structure of the Rules is unlikely to change significantly. d) a procedure for the award of damages; and e) procedures for cost orders. In general, proceedings before the UPC will place far greater emphasis on front-loaded, fully-argued written submissions than actions before the English or US courts. The preamble to the procedural rules states that “proceedings shall be conducted in a way which will normally allow the final oral hearing on the issues of infringement and validity at first instance to take place within one year”, with more complex cases taking longer and simpler cases taking less time. Rule 113(1) states that oral hearings trial hearings should last only a single day, which again will be a major change for English litigators, although Rule 113(2) anticipates that oral testimony may be given at a hearing separate from the trial. During the written and interim procedures, a so-called ‘judge-rapporteur’ will have responsibility for case management, after which the presiding judge will have responsibility in consultation with the judge-rapporteur (Rule 331). The ‘general principles of case management’ and ‘case management powers’ are set out in Chapter 8. This post will concentrate on the written procedure at the beginning of an infringement claim, including a counterclaim for revocation. A plaintiff starts a claim by lodging a Statement of Claim in the division of their choosing (Rule 13). The Statement of Claim must comply with a long list of formalities, including an indication of the division which is to hear the claim and an explanation of why that division has competence. Where a plaintiff is not the proprietor or the only proprietor, a copy of the Statement of Claim must be served on the proprietor. Fees for bringing actions before the UPC have two components: a fixed fee, which must be paid when lodging the relevant pleading; and a value-based fee, which must be paid within 10 working days of the order determining the value of the dispute (see Part 6 of the Rules of Procedure). • an indication of the estimated value of the claim. Pleadings in the UPC will therefore be more comprehensive than those customarily used in litigation before the US courts or the English High Court. To litigators used to English practice, the prospect of having to offer a claim construction before having sight of a defendant’s prior art references and invalidity arguments may focus the mind. This will be old hat to some European litigators, however. It remains to be seen how tolerant UPC panels will be of vague initial claim constructions and later ‘clarifications’ and restatements. Rule 14 relates to the language of the Statement of Claim, which will in general be either one of the languages of the local or regional division or, where the claim is brought in the central division or where the parties agree, the language in which the patent was granted. A defendant has one month from the date of service of the claim to object to the jurisdiction and competence of the UPC or the specific division of the UCP (Rule 19). A Statement of Defence must be lodged within three months of service of the Statement of Claim (Rule 23). Given the requirement to provide evidence with the defence and any counterclaim, this deadline will be tight. Although the deadline may be extended on making a reasonable request to the judge-rapporteur, but it is anticipated that the application of procedural deadlines will be strict. The Statement of Defence must also contain in indication of the facts relied upon, including any challenge to the plaintiff’s assertions of fact (Rule 24). Similarly to the Statement of Claim, the Defence must contain the evidence relied upon, and an indication of any further evidence to come. The Statement of Defence must also state the reasons why the action should fail, including any statement that the asserted patent is invalid. Where a Statement of Defence contains an assertion of invalidity, a counterclaim for revocation must be included, which will require the payment of a separate fee (Rule 25). The Statement of Revocation must contain evidence, a statement of the facts relied upon and “one or more grounds for revocation, which shall as far as possible be supported by arguments of law, and where appropriate an explanation of the defendant’s proposed claim construction”. The defendant must also indicate whether it wishes the court to: (a) hear the infringement claim and revocation counterclaim together; (b) refer the counterclaim to the central division and suspend or proceed with the infringement claim; or (c) refer both the claim and counterclaim to the central division under Article 33(3) of the UPC Agreement. Option (b), the hearing of infringement claims separately from revocation claims, is commonly known as ‘bifurcation’. If the plaintiff is not the proprietor of the patent(s) in suit, the court Registry will serve a copy of the counterclaim on the proprietor. Article 47(5) of the UPC states that “the validity of a patent cannot be contested in an action for infringement brought by the holder of a licence where the patent proprietor does not take part in the proceedings. The party in an action for infringement wanting to contest the validity of a patent shall have to bring actions against the patent proprietor.” It is assumed that service by Registry under Rule 25 is sufficient for these purposes. If not, Rule 305 states that the court may order a person to be added as a party. As soon as practicable after service of the Statement of Defence, the judge-rapporteur will set a date for the oral hearing (Rule 28). The plaintiff will have two months in which to lodge a Defence to the Counterclaim, and it may lodge a Reply to the Statement of Defence at the same time (Rule 29). If there is no revocation counterclaim, the time limit for the Reply is one month. The Defence to the Counterclaim may include an application to amend the claims of the patent(s) in suit (Rule 30). Any rejoinders from the defendant, including a defence to the application to amend must then be served within one month. The formal and substantive requirements for the Defence to Counterclaim and the Reply are similar to those for the earlier pleadings. The plaintiff has to respond to the defendant’s choice of the Article 33(3) options (see above), and it has to indicate which claims of the patent(s) are said to be independently valid. No new matters can be raised in the Reply. The closure of written pleadings, and any requests for additional written pleadings, are dealt with in Rules 35 and 36. With the possible exception of the CJEU’s role, the possibility of bifurcating infringement and validity claims has been the most controversial aspect of the UPC proposals. Bifurcated systems are seen by many as being patentee-friendly. I will try to avoid rehearsing the arguments for and against bifurcation, and instead focus on how the system might work in practice. “1. As soon as practicable after the closure of the written procedure the panel shall decide by way of order how to proceed, with respect to the application of Article 33(3) of the Agreement. 2. Where the panel decides to proceed in accordance with Article 33(3)(a) of the agreement [i.e. to hear both infringement and validity together], the judge-rapporteur shall request the President and the Court of First Instance to allocate to the panel a technically qualified judge if not already allocated pursuant to Rules 33 and 34. Article 33(3) says that local or regional division concerned “shall have discretion” as to whether to bifurcate the claim or not. There is little guidance as the criteria to be used when exercising such discretion. The decision to stay infringement proceedings pending central revocation is subject to the ‘high likelihood of revocation’ test, but no such criterion is to be applied to the decision to bifurcate in the first place. Rule 332(h) states that one of the general principles of case management is that it should be considered “whether the likely benefits of taking a particular step justify the cost of taking it”. Parties should be wary about placing too much emphasis on this single provision, however. It is unclear whether local divisions in countries which currently bifurcate proceedings will continue to do so under the UPC. For example, I understand that the German constitution (Grundgesetz) dictates that validity and infringement issues be heard by separate national courts. Assuming the UPC is compatible with the Grundgesetz, it remains to be seen whether the multinational judicial panels of German local divisions, who will likely be highly knowledgeable about all aspects of patent law, will actively choose to refer questions of validity to a court in a different member state to be heard in another language, particularly in circumstances where a technical judge will be allocated to the local division from the central pool. Where a regional or local division has referred a revocation counterclaim to the central division, the judge-rapporteur is obliged to accelerate proceedings before the central division (Rule 40), so as to avoid any time lag between a finding of infringement and a subsequent decision that the infringed patent was actually invalid. Ultimately, it may be for the parties’ representatives to persuade the relevant local or regional division whether a case is or is not suitable for bifurcation, and whether the benefits of bifurcation justify the costs. The decision will be taken by a panel having the benefit of the parties’ full arguments on validity/invalidity and much of the relevant evidence in support, together with the parties’ submissions on the suitability of bifurcation to the particular case. Where there is a clear validity/infringement ‘squeeze’ on clam construction that would be prejudicial to the defendant if the issues were considered separately, this should hopefully be a factor taken into account by the panel. Similarly, where parties have already been litigating before a local division for six months, the costs to both the court and the parties of attending an additional trial hearing in Munich, Paris or London before a newly-convened three-member judicial panel, and the possible requirement for the translation of all pleadings and evidence, may run counter to some of the current benefits of bifurcated proceedings, namely cost effectiveness and the prospect of rapid dispute resolution. In summary, it is too early to tell which courts will have a tendency to bifurcate, and the criteria on which local and regional panels will make their decisions. For many litigants, the choice of forum will be limited by the jurisdictional factors considered in last week’s post. For generic pharmaceutical companies who are accustomed to ‘clearing the way’ ahead of launch to avoid interim injunctions, assuming the relevant patents have not been opted out of the UPC, the plaintiff will have no option but to commence a revocation claim in the central division. Such claims cannot be commenced in local or regional divisions. Generics companies may be less willing to launch at risk than under current court systems, although the English Patents Court, for example, does not currently place much emphasis on validity considerations when assessing the merits of an interim injunction application. Many patentees may choose to opt out of the UPC entirely, as they will not want to take the risk of pan-European revocation of valuable rights. Companies in many industries, particularly in the pharmaceutical sector, may therefore find their litigation strategies are largely unchanged, with revocation actions continuing to be brought and defended in national patents courts. Other industries may find their litigation strategies changing dramatically, as telecoms and electronics companies may find themselves being sued more often, by claimants for whom the prospect of country-by-country litigation across Europe did not previously make economic sense. Clearly, it is not possible for defendants to ‘opt-out’ of the UPC, and a mobile phone manufacturer cannot expect to ‘clear the way’ before bringing products to market, but creative mitigation strategies may be available. For patentees, they will be free to bring an infringement claim against a defendant in any local or regional division which has jurisdiction (see last week’s post for further details). A patentee will have to state its preferred claim construction in its Statement of Claim at the commencement of proceedings, when it will be unclear what validity challenges will be faced or whether the proceedings will later be bifurcated. This prospect may chasten potential litigants, especially where they have conducted only limited validity analysis before commencing a claim. • yes, the willingness of panels to bifurcate. The applicable substantive laws and Rules of Procedure permit many different approaches to these matters, and time will tell how they will be treated by different local and regional divisions, possibly influenced by traditional national approaches. It is important not to forget the benefits of the proposed system, however. The UPC will allow rights owners to take a consistent approach to substantially the entire EU trading bloc. Patentees will be able to enforce their rights in markets where the benefits of litigation do not currently justify the costs, i.e. some of the smaller European countries. Where enforcement costs have been too high, this may have affected patenting strategies in respect of the some EU states in the past, and companies may now wish to seek protection in those countries, either through European patents or Unitary Patents. Similarly, companies that regularly face parallel infringement and revocation actions in several member states simultaneously may see significant in reductions in their litigation expenditure, although the new proposals will not benefit all industries equally. Next week: having now looked at jurisdiction and the early stages of procedure, it's time to consider the substantive laws to be applied by the UPC. Appeals to an Appointed Person: might it work for patents too? The United Kingdom Intellectual Property Office (IPO) has published a consultation paper on whether to extend the use of Appointed Persons from trade mark law to to patents and supplementary protection certificates (SPCs). Under the law as it currently stands, trade mark appeals from the decisions of IPO hearing officers may be made to the High Court (of which the Patents Court forms part) or to a specially designated Appointed Person.If an appeal is made to the Patents Court, further appeals may be made to the Court of Appeal and to Supreme Court. However, in the case of an appeal to the Appointed Person, a device which was introduced as a means of preventing the costs of an appeal from spiralling upwards, the decision of the Appointed Person is final and no appeal may be made on substantive legal matters. Much use has been made of this facility in trade mark disputes, and it appears that a substantial majority of appeals are to an Appointed Person rather than to the Court. There appears to be little reason to think that appeals on matters pertaining to SPCs would be brought to an Appointed Person as a matter of choice since, even though the Appointed Person may refer questions to the Court of Justice of the European Union for a preliminary ruling, both proprietary pharma and generic pharma sectors are likely to want rulings at the highest level, where they are of greater precedental value. However, when it comes to regular patent disputes involving individual inventors and small businesses, the prospect of litigation ending after a single appeal may be quite tempting. The closing date for the submission of responses is 21 May 2013. Oliver Randl has digged out a noteworthy decision (J 43/11) of the EPO legal board of appeal dealing with the admissibility of Latin as an official language in the sense of Rule 6 (3) EPC in relation to an applicant being a monk residing in the Vatican. [6.4] The Board of appeal wishes to add, as an obiter dictum, that the use of former inquisitors of the Sanctum Officium could indeed be beneficial to the EPO. As interrogation specialists the members of this office have a worldwide reputation and are surpassed only by the U.S. Central Intelligence Agency (C.I.A.) and its subsidiaries in the Middle East. Thus it would be advantageous to use these competences in oral proceedings. The Legal Board of appeal would most certainly be interested in making use of those talents within the framework of the application of A 117 and in particular in hearing the parties (A 117(1)(a)), requesting information (A 117(1)(b)) and hearing witnesses (A 117(1)(d)). Moreover, the fact that these examiners have professed vows of obedience, celibacy and poverty has to be welcomed in view of the plans of the EPO to increase its productivity while reducing costs. However, this does not alter the fact that the question of the accession of the Vatican to the EPC and the advantages this might bring to the EPO is irrelevant to the present appeal.